It's showtime! Delivering a light-hearted take on the Meerkats' heroes through the ages, Magnificent Meerkats introduces this fun Showman collectible. A great gift for any Meerkats fan. 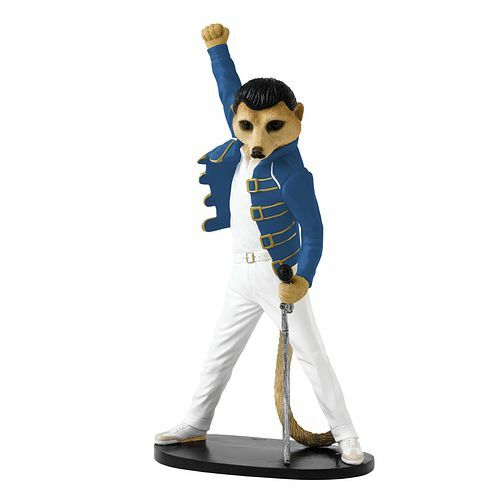 Magnificent Meerkats Showman Figurine is rated 5.0 out of 5 by 2. Rated 5 out of 5 by Anonymous from Very detailed Bought as a Xmas gift for my partner. He loved it. Very detailed and the colours r great. Rated 5 out of 5 by Anonymous from compare the "Freddie" I recently bought the"Showman",as an avid QUEEN fan I could not resist it.I was not disappointed.